The figures are daunting: by 2100, more than 49 million people will be impacted by sea level rise, 410 million people could be exposed to drought, virtually all coral reefs will be lost and there will be an ice-free summer in the Arctic. 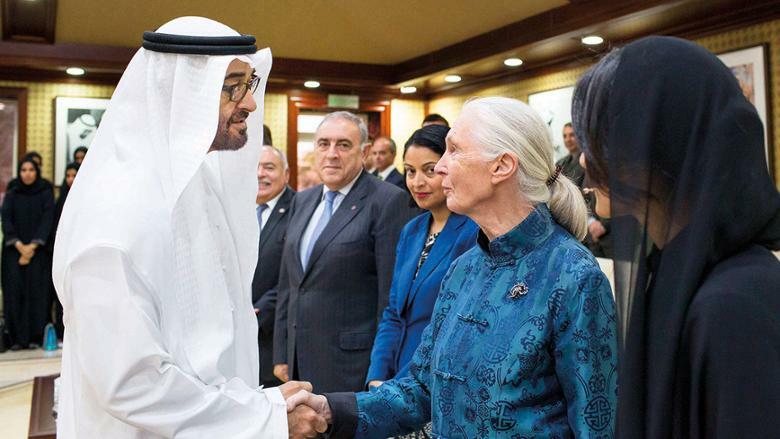 Though the future appears scary, Jane Goodall, the iconic global conservationist — a United Nations Messenger of Peace and the recipient of Japan’s Kyoto Prize, among other prestigious global honours — believes there is reason for hope. 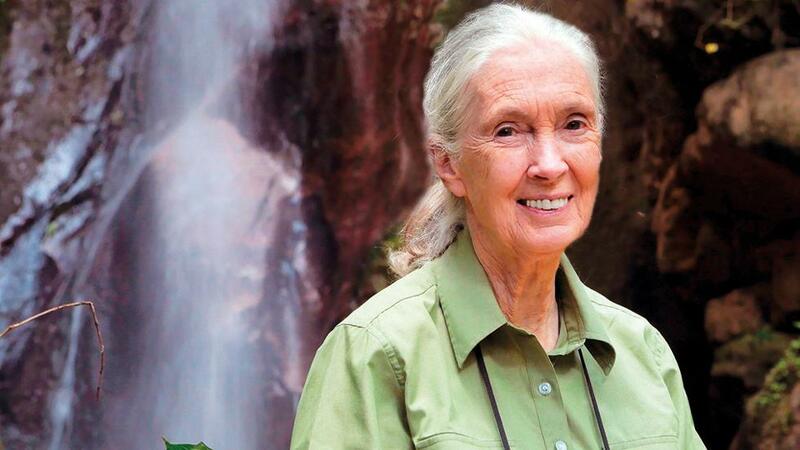 Jane will be speaking in the UAE tomorrow, offering an inspiring, optimistic message as profound as the knowledge she brings back from the forests that have been her home since 1960 when she first set foot on what is now the Gombe Stream National Park to study wild chimpanzees. It was in the summer of 1960 that Goodall arrived on the shores of Lake Tanganyika in what is now Tanzania, East Africa. As a child she was inspired by the stories of Dr Dolittle and Tarzan, and felt a great emotional connect with the totally wild and untouched continent from the moment she landed there on a boat. While most people considered it a highly unorthodox activity for a woman in those days to venture into the African forest, Jane had the support of her mother who taught her to ‘work hard, make use of opportunities and never give up’. Luckily for Jane, at just this time famed anthropologist and paleontologist Dr Louis Leaky was searching for an associate to begin a study of chimpanzees in order to gain insight into man’s evolutionary past. Jane’s natural affinity with the wild made her fit the bill easily. In the beginning, nothing was easy. 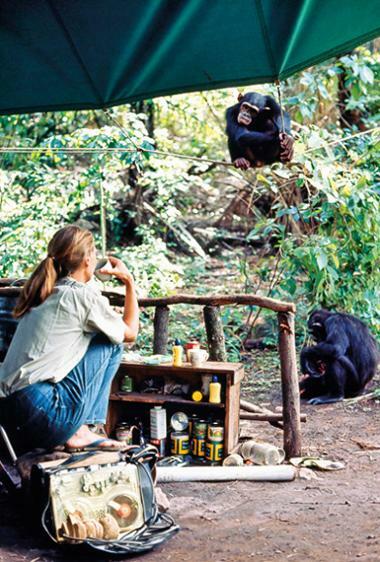 ‘As I went along Lake Tanganyika and looked at the steep valleys, thickly forested, that formed the Gombe National park, I wondered, “How will I ever find the chimps, let alone try to study them.” But when I got to where we would set up our little camp (my mother and me because the then British administration would not give me permission to go to Gombe by myself), I climbed up the trail behind our camp onto a place overlooking the lake. Then I heard a troop of baboons — and yes, wow! I had arrived! It was magical. But in the early days the chimpanzees ran away as soon as they saw me. ‘I was so afraid we’d run out of the little bit of money, and I would have failed, and it would be the end of my dream,’ says Jane. She persisted, however, watching from a distance with binoculars, and gradually the chimps allowed her closer. One day in the autumn of 1960 she saw a chimpanzee she christened David Greybeard strip leaves off twigs to fashion tools for fishing termites from a nest. It was a path-breaking moment. It would lead Jane to three major discoveries: chimpanzees use tools, make tools, and can be predators and eat meat. 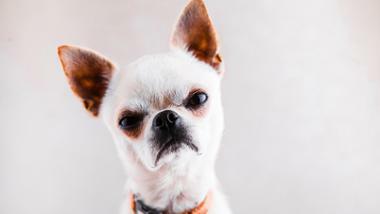 These insights would change the way the world understood these animals. 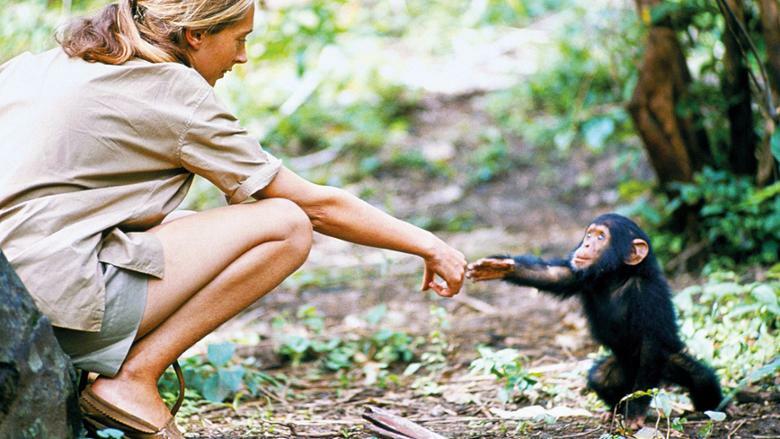 Jane also wrote of close family bonds among chimps, dominance struggles among males, human-like communications — pats on the backs and hugs — and much more. Says Jane, ‘We know today that many animals make tools. But at that time it was a ground-breaking observation, one that enabled my mentor, Louis Leakey, to approach National Geographic in America, and they agreed to fund my research when the first small grant (for six months) ran out.’ They also sent a photographer and film maker, Hugo van Lawick, to record her work with the chimps. 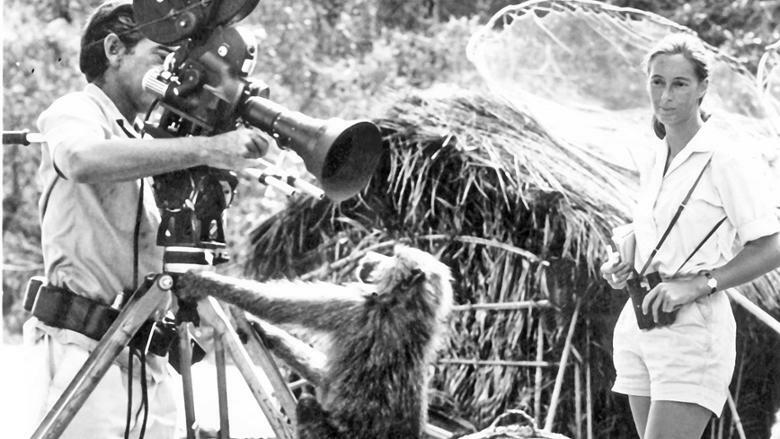 It was his early stills in the magazine, and documentaries for National Geographic Society, that took the story of Jane and the chimps into living rooms around the world. Today the Gombe chimps are perhaps the world’s best known, while the Gombe research programme represents the world’s longest continuous wildlife study. In 1962, Jane took leave to earn a Ph.D. in ethology (animal behaviour) at Cambridge University — one of very few people to be admitted without a university degree. 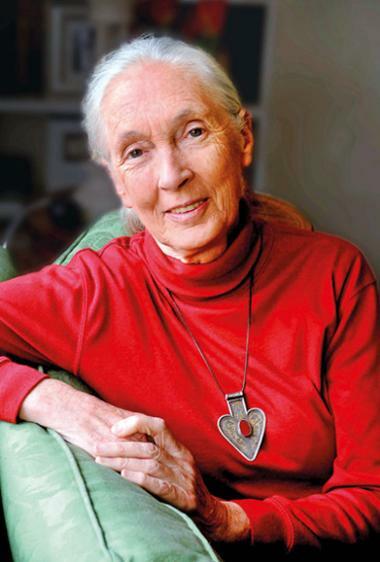 In 1977 Jane established the Jane Goodall Institute, which continues the Gombe research and is widely recognised for its innovative, community-centred conservation and development programmes in Africa. Where chimpanzees once numbered perhaps one million at the turn of the 20th century, today there are fewer than 200,000 remaining in the wild in Africa. A key factor is destruction of habitat — Africa loses more than 10 million acres of forest every year, twice the world’s deforestation rate. Meanwhile, population growth in Africa is faster than anywhere else, with accompanying poverty and lack of basic needs. Has this led to a change in chimp behaviour in the last 50 years? Jane’s hope for the planet is manifested in the youth. In 1991 she founded the Roots and Shoots global humanitarian youth programme with a group of Tanzanian students. Today it connects hundreds of thousands of young people in more than 130 countries around the world who become involved in hands-on projects of their choosing in their local community. The programme is all inclusive, for all youth with no restrictions on class, structure, income or privilege. 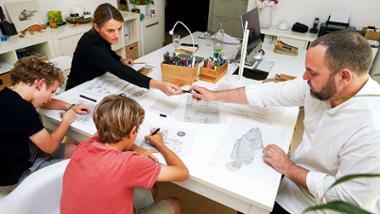 It is open to all universities, schools, special needs groups and home educators in both the public and private sectors. The greatest challenge with youth today is that they are more and more tied into a virtual world, says Jane. ‘They spend time on tablets, smartphones, video games and are no longer interested in nature. This we must try to change. It will be my legacy to help them understand that the many small choices they make each day cumulatively add up to major changes in the world. The Environment Agency Abu Dhabi is the key partner to the UAE programme that has won the UK Government Green Apple Awards for two years now at the Houses of Parliament, in recognition of a successful start-up programme overseas. 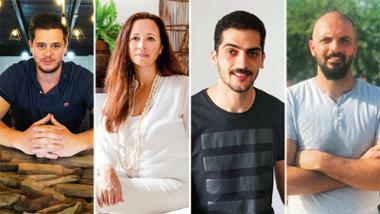 ‘Jane’s legacy in the Middle East is to see the programme grow beyond the UAE to different parts of the region. Her legacy is to see us educate the next generation so that they can help make the world a better place to live. They will after all inherit our planet,’ says Golshan. 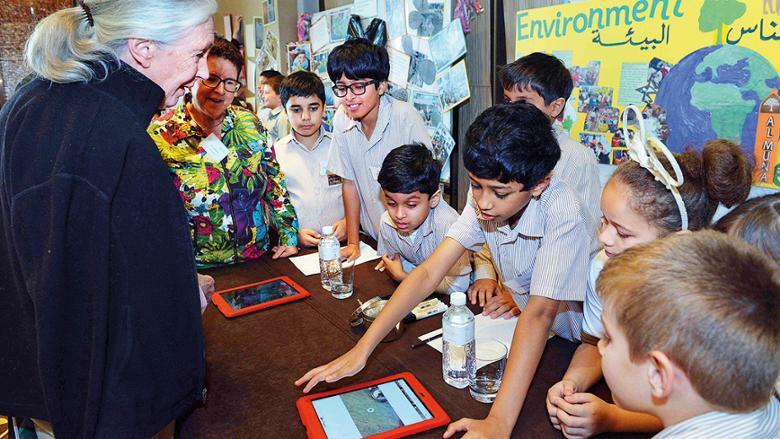 The New York University Abu Dhabi, which is an active Roots and Shoots programme partner, has several environmental outreach initiatives that involves its students. Its Kashtah programme (Kashtah means ‘a short trip’ in Arabic) instills greater social responsibility and compassionate leadership by connecting NYUD students with the wider UAE community. The university arranges events such as the The Great Nurdle Hunt, a fun and educational event held in collaboration with the Park Hyatt Saadiyat, where volunteers compete in teams to collect nurdles or small plastic pellets used in the manufacturing of plastic products, from the Saadiyat beach. Meanwhile, the Give a Ghaf Service Kashtah has brought together 60 student volunteers from around the UAE for a day of learning about sustainability in the desert environment. Students planted 250 of the UAE’s national Ghaf tree seeds at Dubai’s Al Barari Nursery and learnt how these trees only require five litres of water per day, whereas palm trees guzzle up to 300. 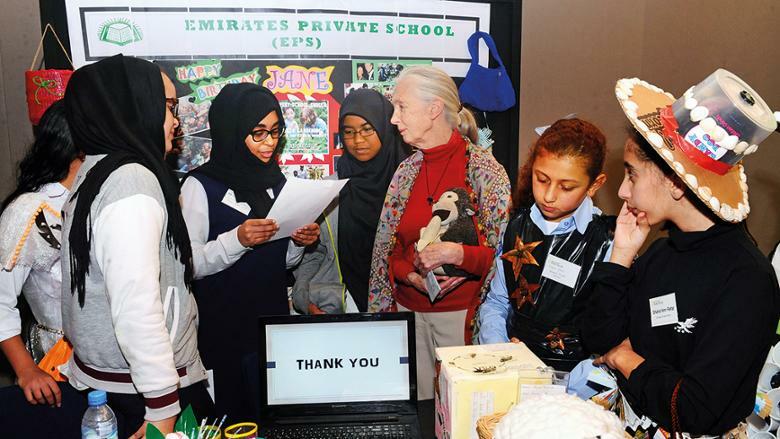 The Dunes International School in Abu Dhabi has also encouraged their children to learn important life skills such as growing food with limited resources, building vertical gardens that reconnect children with the natural world and teaching them valuable gardening and agricultural concepts and skills. Or making bird feeders — a wonderful opportunity to observe bird habitats and their needs in their natural environment.